Lovers of Carvel ice cream cakes might have often wondered why the company doesn’t bottle the delicious desserts up in a pint of ice cream. 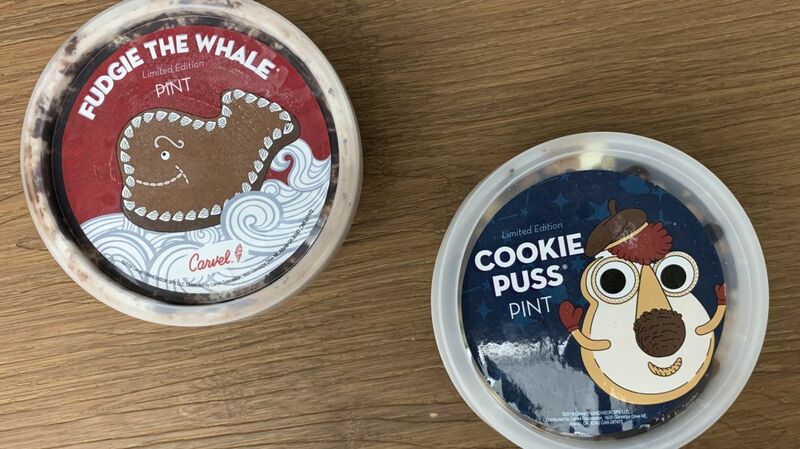 Well, now they have: Both Fudgie the Whale and Cookie Puss are available in pint form for a limited time—and only via delivery. Each pint features a layer of chocolate and a layer of vanilla ice cream, separated by chocolate crunchies and combined with frosting and fudge. The Cookie Puss pint is topped with crumbled cookies, and Fudgie gets Carvel’s chocolate crunchies. Carvel was nice enough to send Mental Floss pints to taste, and trust us—they’re delicious. You don’t want to miss out, so visit Carvel’s website to find out how you can get yours.